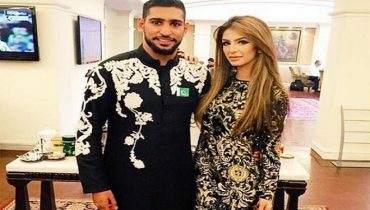 Faryal Makhdoom is leading American based Pakistani Fashion Designer and beauty blogger who got married to boxer Amir Khan back in 2013. The couple has a daughter. 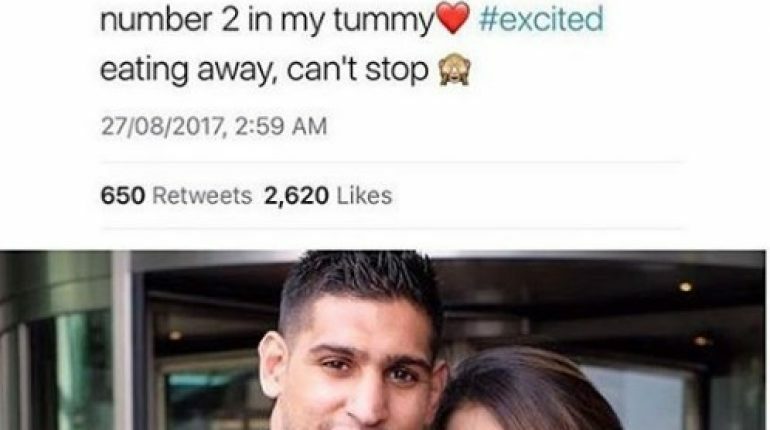 Few weeks back, there was a war between Amir Khan and Faryal Makhdoom. 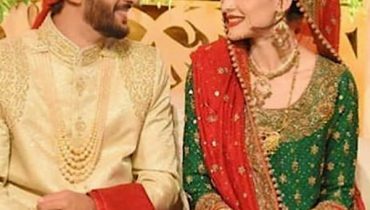 The couple parted their ways and now Faryal Makhdoom announced a big news of her life. 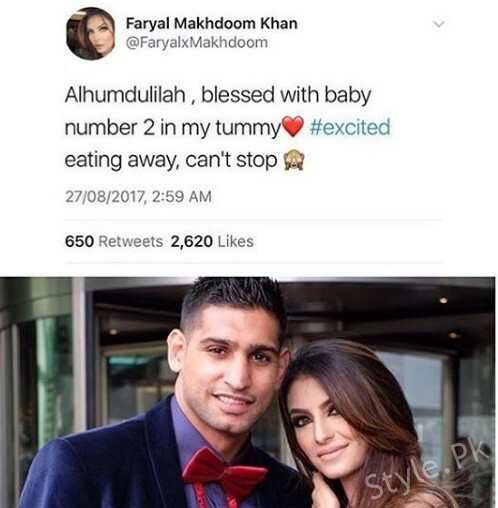 Faryal Makhdoom is expecting her Second Child. 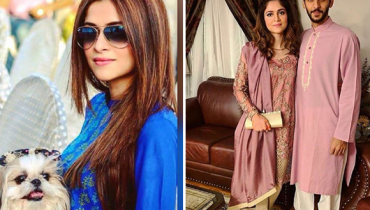 Faryal Makhdoom shared the news on Twitter, Facebook and snap chat fans. Here we have screen shot of the news. Have a look.